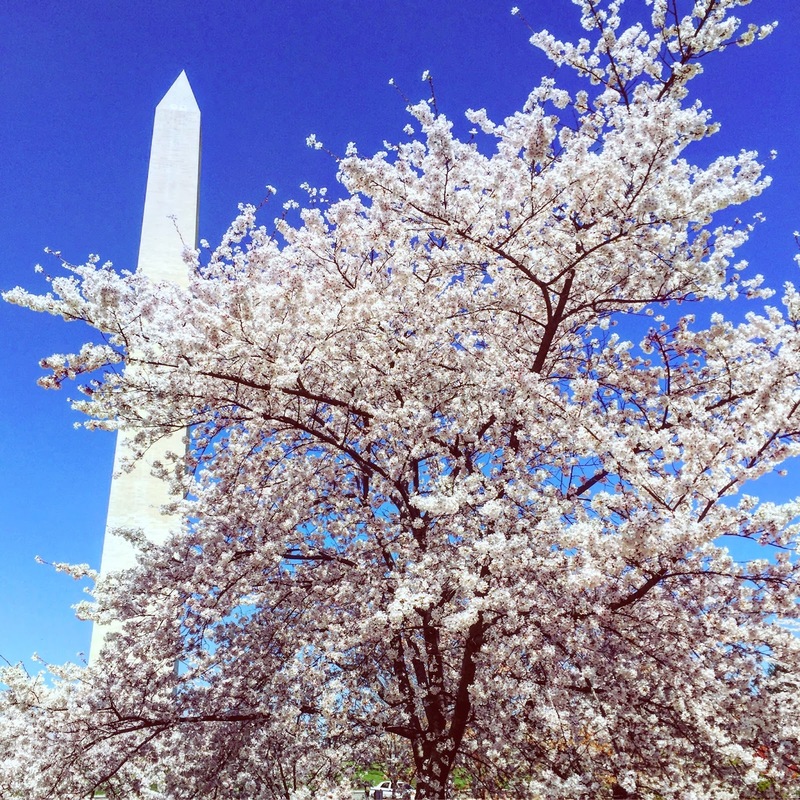 Last week, I completed the Cherry Blossom 10 Miler right here in the good ole District of Columbia. It was a beautiful day, a little bit chilly to start but it was perfect. 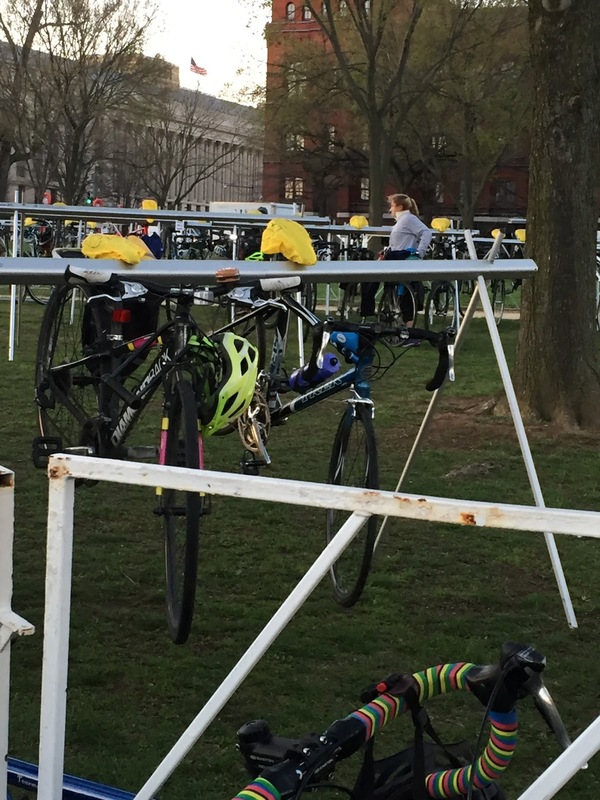 The course begins in front of the Washington Monument, takes you down Independence, crosses over into Arlington, back into DC along rock creek parkway, to the tidal basin and Haines point. It is there that you get to enjoy all of the beautiful cherry blossom trees that align the road. I have never raced the 10 miler before, but I have always wanted to. It was nice that it was right in our backyard and a course I train on, but with that said, I did want to mention some of the best parts of it and note some of the items I wasn’t pleased with. The expo was in the National Building Museum, and you had to go upstairs to check in then downstairs to get your t-shirt. The expo was a good amount of booths, but nothing that was interesting to me except for the Feetures Booth. I got to see all of the new colors and chat a little/promote the brand. Hey I am an ambassador afterall! For starters, the race begins in a very convenient location right by the Washington Monument. Not far from metro access, however, with the safe track stuff going on, the metro didn’t open until 7 am on the weekends, making it very close to the wire for those who wanted to take that form of transportation to the race. I biked to the start like where they provided bike valet service. It was INCREDIBLY easy and a lovely feature they offered (high points). All I did was check in my bike, give them my name and phone number, they texted me my confirmation and bike number for when I would come back to pick it up, and racked it… Super easy! You also could drop off a bag if you wanted to versus waiting in the bag check line. Afterward, there as about 30 minutes of waiting until the race started. Why? Well, they wanted you to check your bags by 7:00 AM. We piled into the corrals and waited until it was our turn to race. As we started, I was dodging people let and right and realized I was in the slower part of my corral. I should have seeded myself better. But I will say it was crowded pretty much the whole race. There were a lot of people running it, and the roads were a max three lanes wide. We also only ran on one side, so there was a lot of room to spread out. One of the things I did like about the course was that it was exceptionally well run at the aid stations, turn around points were clear and recognized, and I thoroughly enjoyed the entertainment along the course. I do not know if that was intentional or just random DJs, bands or clubs in D.C. that wanted to perform, but it was a pleasant surprise. After we had finished, we ran through the shoot, were provided with water and heat sheets. We had to walk to the gear check to get bananas and granola bars and cups of Gatorade. It was one of those cheap moments that they couldn’t get water bottles. Now you are probably wondering, “didn’t you get your medal when you finished,” well no, and here is why. 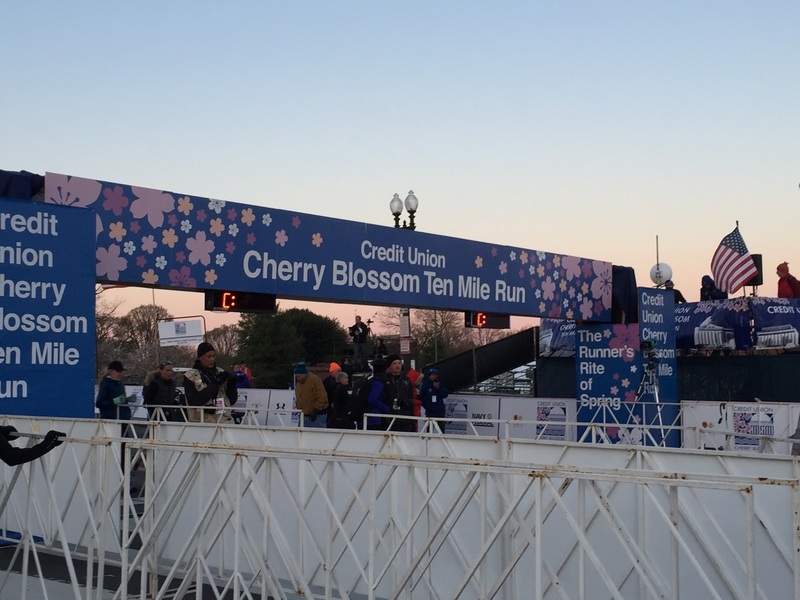 The Cherry Blossom 10-miler organizers charge you for your medals. Race fees are $50 bucks, and with it, you get a generic cotton t-shirt. If you want to upgrade, you must pay an additional $13. If you want a medal, you must also pay an additional amount. They do not give our medals to all finishers. And if you want the upgraded medal version, guess what… $25 bucks extra. What is the upgraded version? You get it engraved. This is one of those races where I would rather pay the 70 bucks up front rather than pay 50 and then have to pay additional amounts on top of it. Ehh not a fan: Paying A La Carte for everything, pitiful finish line food, ugly t-shirt, the expo was blah.